Even for a stock 80s emissions turd that’d be hard to pass up with a trans. Kind of what I was thinking, haven’t decided what I want to do yet.. 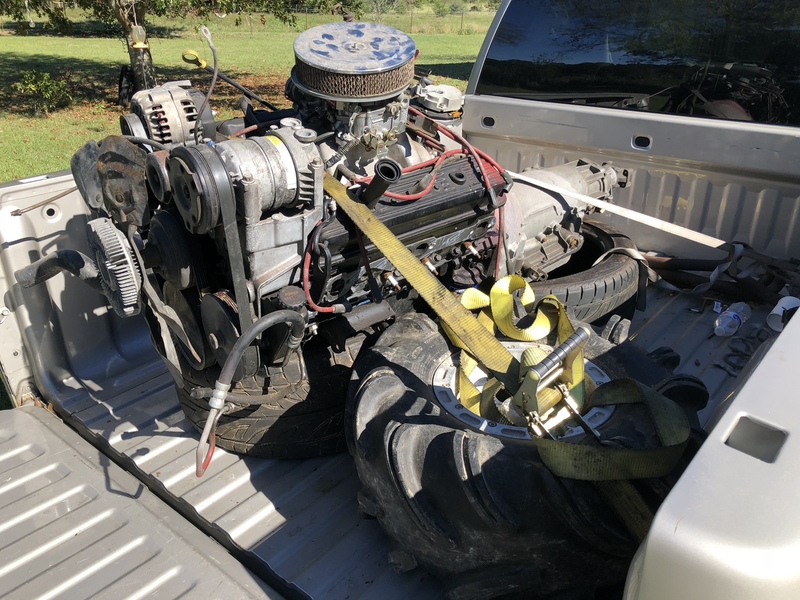 So talked to him more today and allegedly it wasn’t the original motor in his truck either, said it’s supposed to be the motor and trans out of a 92 and it previous owner before him carbed it. Tbi block means it has the bosses cast on for the factory roller setup, some even came drilled and tapped from the factory plus it’s a 1 piece rear main seal. Heads are 100% garbage but vortec heads are cheap and flow good. You could potentially buy it, put another $700 into it with a cam, used heads and an intake. You would have 300-350 hp no problem. Trans a turbo 350 or 700r4? Haha, I know nothing about these motors and really don’t have a ton of “motor” knowledge stuffed in my brain simply because I’ve never had to. I’ll def take your word and look into all of that some more, the trans is a turbo 400 so assuming it’s not what goes with the motor originally? No it’s not what would have been with it originally but that’s not a bad thing, turbo 400s are good transmissions. Turbo 350 vs turbo 400 is like 4l60e vs 4l80e, the 400 is simply stronger. Gotcha, gotcha! Appreciate the knowledge definitely thinking hard on snagging it. Talked buddy into selling me motor and trans for $300. Going to try to pay him and pick it up this week or so, will snag some pics and more info to know exactly what we’re working with. 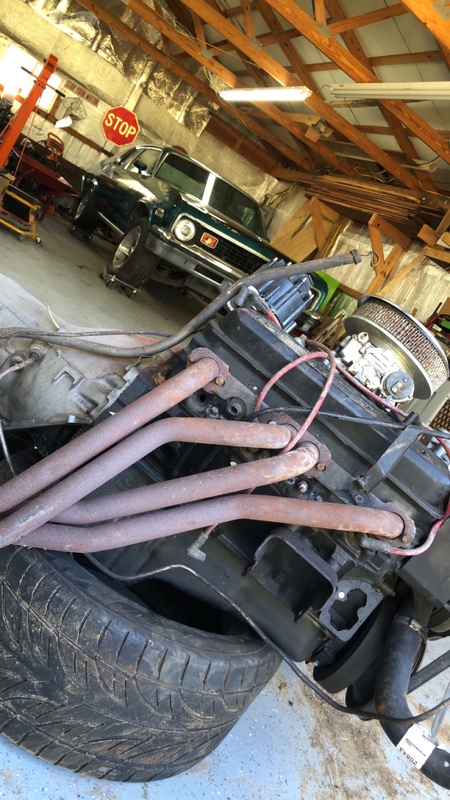 Figured I for sure shouldn’t pass it up at that price..
That means it’s factory drilled and tapped for the roller cam setup and vertical intake bolts means vortec heads which are probably the best factory small block heads. That’s a pretty good intake for a cruiser too. Glad you know more about these than I. Might have to hit you up with more questions. Lol. 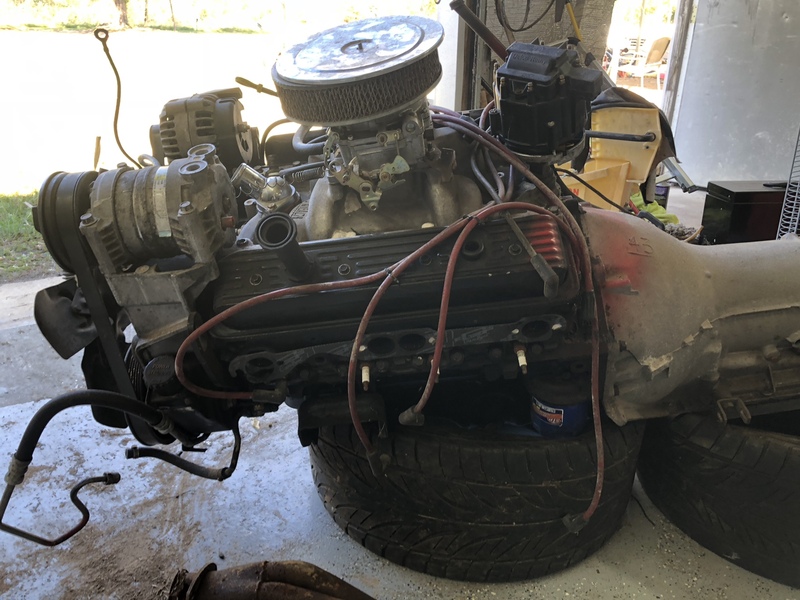 Buddy that had it said it all ran well and trans with the stall was great, said carb might have needed a little adjusting but overall said it was a great cruiser he just opted to go LS and pulled this combo out. Might have to hit you up with some questions too. Lol. He has the fuel pump and all to give me as well I believe since he snagged different stuff for his LS swap. Gotta get with him and see what else he had. If not I’ll snag something, need to make a list of stuff to start saving and snagging. Really since you only need like 8 psi iirc for carbs it's just a pump and a regulator. Did some more reading/digging and came to the conclusion on a few things. I def know I’ll need to 400 yoke, guy I bought my motor from might give me his, etc since he won’t be using it. 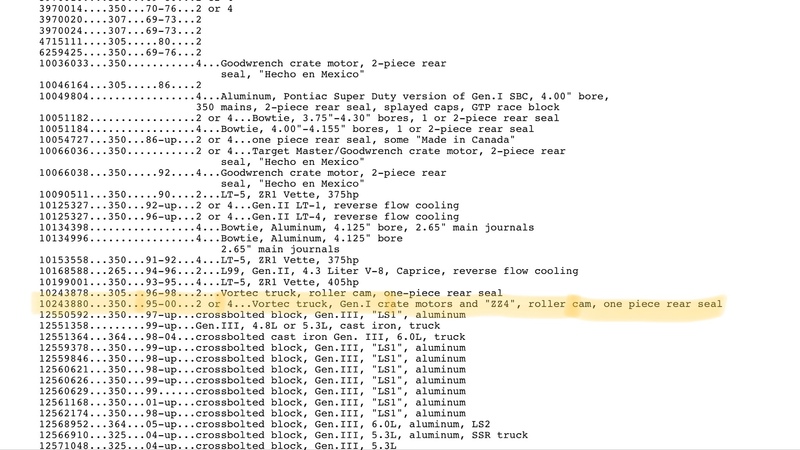 From what I’m reading I think I’ll need the driveshaft shortened as well but trying to find someone with more info. Not sure I have all of the motor mount pieces so they are on the order list for a new set. 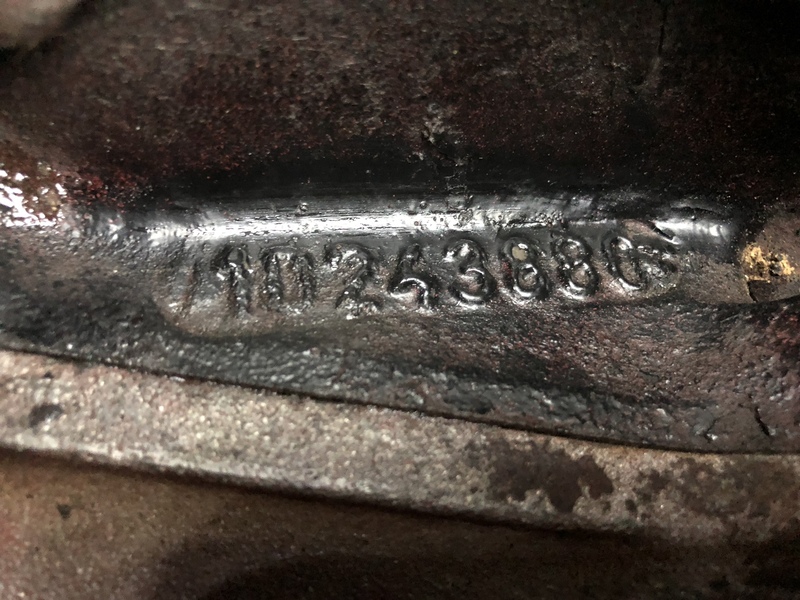 Crossmember for 350 and 400’s are different, also different for a big block or small block so I’ll need to order me a crossmember specific for a small block and turbo 400. Got several “homemade” crossmember in the trunk from previous owner. Lol. So far I believe I’ll need.. Previous owner took it from column shift to a floor shift, guessing that’ll affect how hooking this thing up goes? Anybody want to add to this list/give parts suggestions to buy? You'll likely have distributor clearance issues with the firewall, unless you run a small cap HEI (or it has already been 'massaged' for clearance). Some people use shims between the cross member and TH350s to tilt the engine and get just a hair more clearance. That doesn't really work with TH400s/3L80s. The transmission is too fat to allow much change without hitting the floor (and the 1350 yoke size doesn't help, either). You already have a TH400/3L80 yoke. 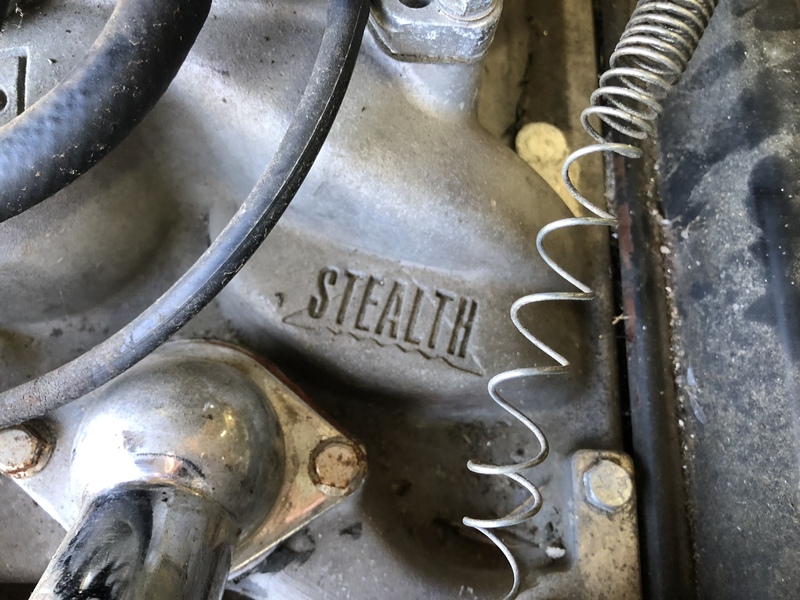 It's bolted to the output shaft. You also have what appears to be the 'C' length (4") tail extension housing. That means there isn't much spline to work with, if you want to convert to a slip-yoke (or "car") style output. But the 'C' extension is good, as it provides the most clearance and keeps the floor and transmission (the yoke in particular) from getting to know each other. 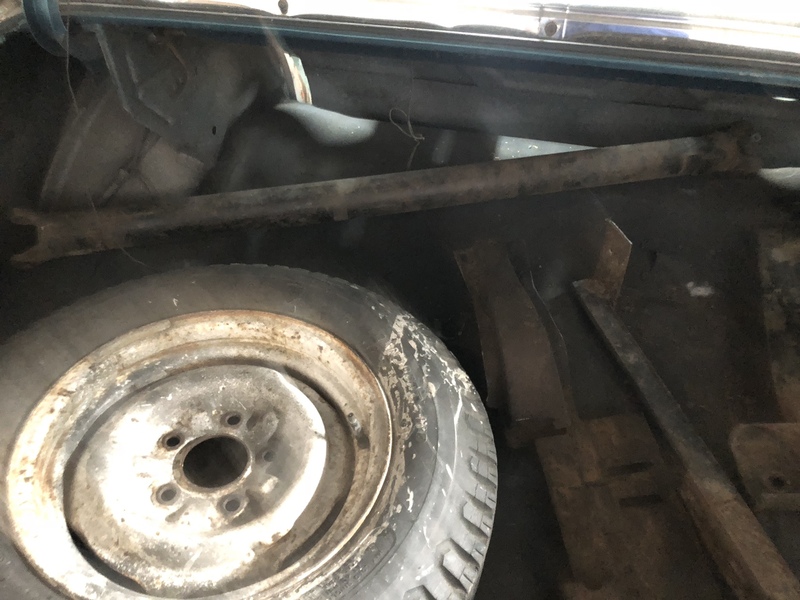 Since you already need to have a driveshaft made, or the original modified, I believe the better option is to go with a slip-joint (or "truck") style driveshaft. Retrofit type slip yokes don't allow for much engagement or travel; but you can retain full engagement of the yoke, as well as full travel, with a slip-joint. Multiple speed bumps can be addressed with one check. The TH400 only needs a vacuum source to operate, and one switched +12V wire to kick down (and making sure the case has a good ground isn't a bad idea). Figure out where you're going to put that switch (micro switch on throttle linkage, momentary switch on dash, adapted slide switch on pedal, etc. ), and how you're going to get fused power to it as soon as reasonably possible. If you don't take care of it early, it'll never get done. 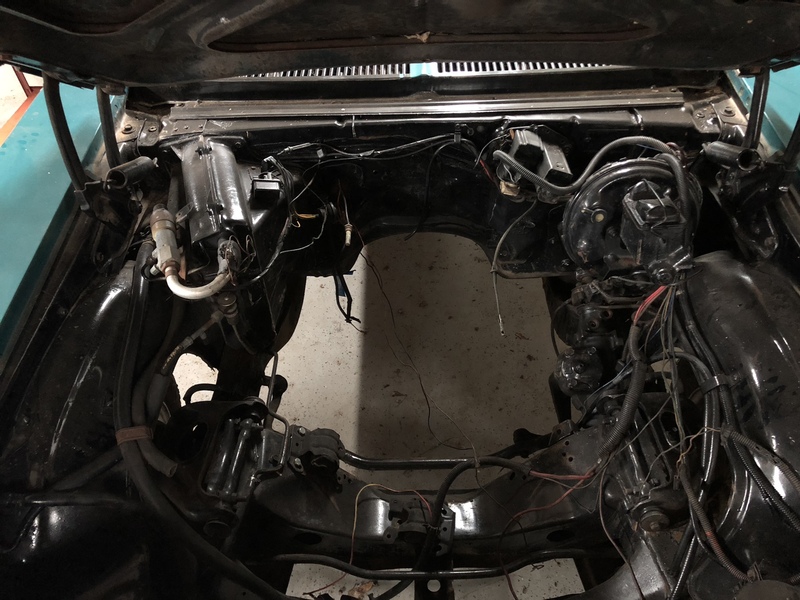 I also recommend routing the wire to the transmission before or during the transmission install, to save yourself an extra trip under the car. Linkage... Wish I could offer some advice. But I have very little experience with floor shifters. If the car was set up for a TH350 with that floor shifter, it should probably work with the TH400, too. More than likely, you'll find that it only needs minor adjustment. OR, the entire thing needs to be moved, reconfigured, and fiddled with. So you went with the 350 because it was cheap right? I have speedhut gauges in my car.........if you want to know anything. Haha, yes and no! I know realistically I can’t afford everything required for an LS swap like I want for the time being so I decided to jump on this so I can get it cruising and my dad get to experience driving “his car” after 20 years. A friend finally let me have the setup for $300 so I jumped. Def good to know. I love the gauges I posted in this thread.